People write many books about American Presidents: biographies, memoirs, tell-alls. But when it comes to dishing on presidential life, Reggie Love, former body man to Barack Obama and author of Power Forward: My Presidential Education, knows what we all really want to hear: What are his eating habits? But though the list is certainly long, there aren’t that many Van Halen “no brown M&M’s” moments. Many of the restrictions Love recalls are logical for a man with a busy schedule. 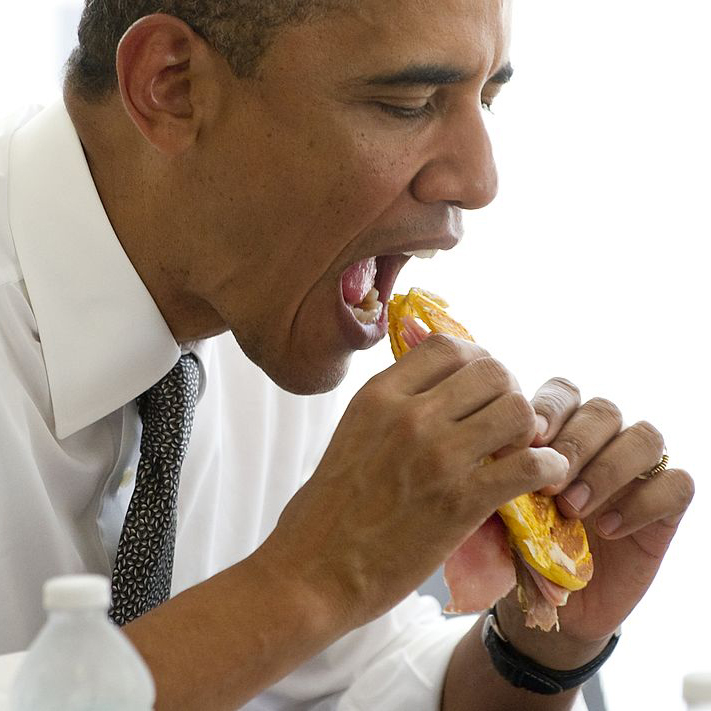 Obama eschewed salads, but mainly because they are hard to eat on the go; sandwiches are much more travel friendly. Other choices seem driven by health concerns: nothing battered, nothing fried, no fast food and no soda. And at least one of the President’s dislikes is just plain obvious: he won’t eat mayo. Personally, I don’t want to live in a country with a mayonnaise-loving president. You know which president liked Mayonnaise? Calvin Coolidge. I’m not saying mayonnaise caused the great depression, but it does make you wonder. The most shocking revelation, to me at least, is that according to Love, Obama doesn’t drink coffee. Maybe you could run some small, boring country like Lichtenstein without caffeine, but this is the United States of America. Oh, and he also doesn’t like gum wrapped in tiny papers, preferring gum in blister packs. I mean, frankly, having those little pieces of paper is pretty convenient when you want to spit your gum out, but I guess when you’re the leader of the free world, there’s always someone around you who’s willing to let you spit your gum in their hand.